After many failed attempts at dieting and losing weight. I discovered a method that acutally worked for me. 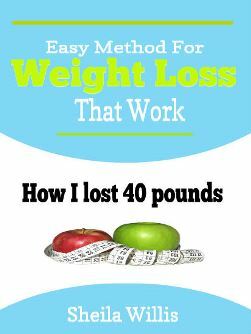 I used the methods in this eBook and lost 40 pounds and many inches and kept it off. If you're looking for an easy method to lose weight and keep it off this eBook is for you. The methods can also be used to lose more or less weight. What are you waiting for? Start losing those pounds now. Get your copy today. Digital product. Download available immediately after purchase.